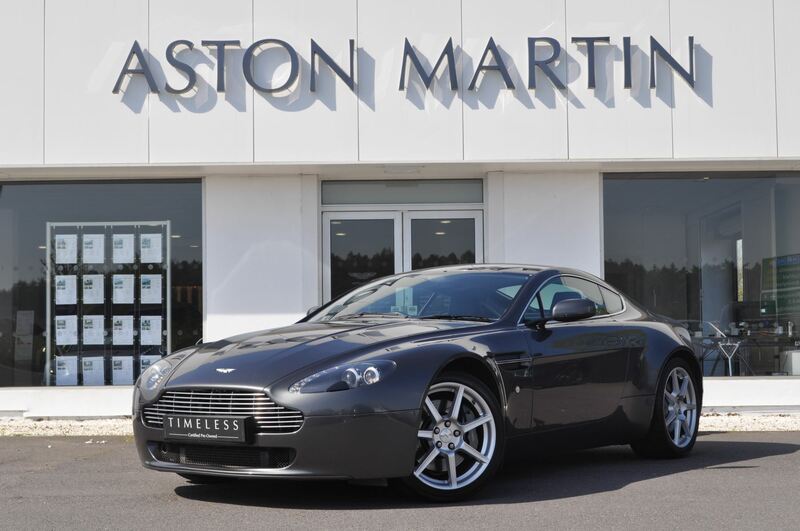 Aston Martin Birmingham are delighted to offer this 2008 V8 Vantage coupe finished in fantastic Meteorite Silver and complimentary Obsidian Black full leather interior. This Vantage has the benefit of the following options, 19 inch 7 spoke wheels, Satellite navigation, AM Premium audio, Bluetooth, Piano Black veneer, Garage door opener and Auto dimming interior mirror, Memory seats and mirrors, Powerfold mirror assembly, Heated front seats, Warm Charcoal seatbelts, Bright finish front grille, HID headlamp, Front stone guards, grey brake calipers. 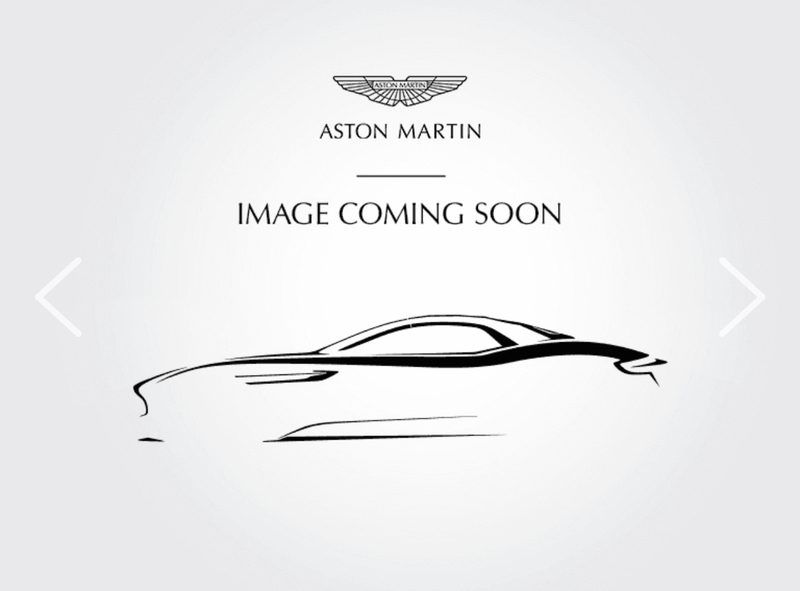 Our Aston Martin Vantage Roadster comes with a great selection of equipment and features. Call us now to arrange a viewing. 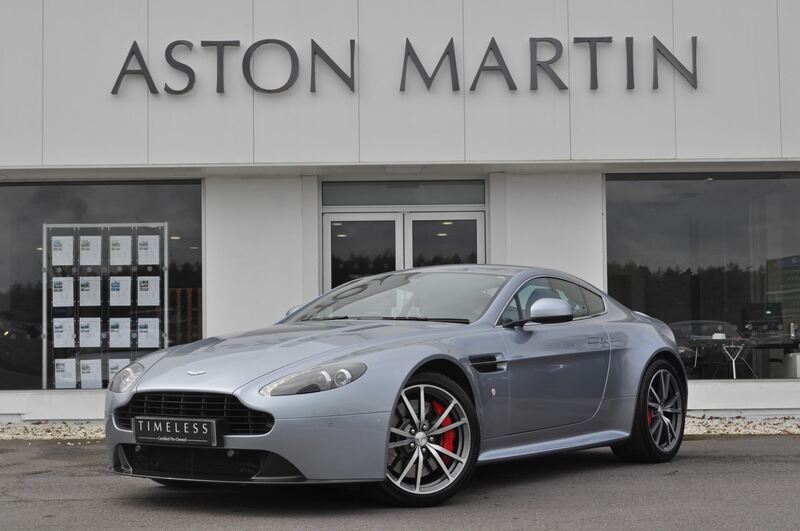 Aston Martin Birmingham are delighted to offer this superb V8 Vantage S finished in desirable Skyfall Silver with complimentary Obsidian Black leather interior. This coupe has the benefit of the following options, 19 inch 10 spoke Graphite DT wheels, Front parking sensors, Glass switches, Garage door opener with auto dimm mirrors, Heated front seats, Iridium interior trim pack,Memory seats, Iridium facia trim, Warm Charcoal seatbelts, Comfort suspension, Black vaned front grille, Silver bezel headlamps, Black meshes, Red brake calipers. This Vantage comes with full service history and only 2 owners from new. Gloss Black Diamond Turned Alloys really set off this car with the detailed stitching and the later 2016 dash this car should not be missed , great value for some summer fun !